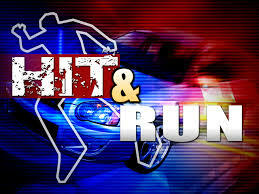 A person was hospitalized after they were intentionally hit by an unknown motorist early Sunday morning in Elk Grove. According to Elk Grove Police reports, the victim was walking in the parking lot of the Winco grocery store on Sheldon Road when they were struck by a car driving through the area. The victim sustained moderate injuries and was taken to an area hospital for treatment. The suspect was described as a white female adult who fled the location in a blue four-door Honda Civic.